Drupal is a popular CMS framework which gives you the power to easily add or edit pages and content on your website yourself. Our development team has experience with large and small Drupal projects, and can create custom themes and modules as needed. Our team of experienced Drupal developers can help you with your next project, whatever the size, by providing a total start-to-finish service, updating your existing Drupal site, providing support or providing 'top up' development when your team needs extra help. We can create virtually any functionality your site needs by extending and modifying this powerful CMS, building custom themes and modules where needed. 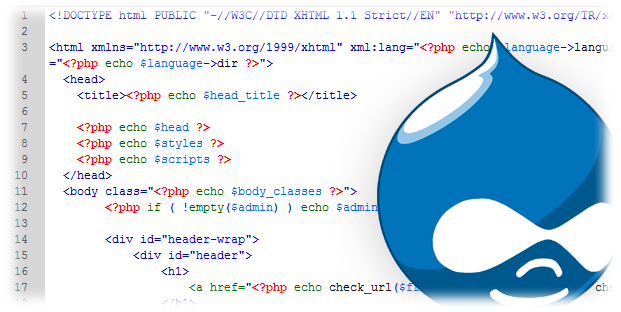 Drupal is a popular Open Source CMS and forms the basis of many of our website projects.